I've been using Cresta Motors since 1998 for my household of BMW's for absolutely everything my cars need. The work has always been carried out to the highest standards. Nothing has ever been too much for the excellent team of Chris, Ari & Nick and they can always accomodate me when needed. A big "Thank you" from me. I took my Jaguar to cresta motors after going to another garage that COULD NOT resolve a problem which has been going on for a while .They had the car for a three days and sorted out problem with the electrics ,they kept me updated twice a day and didn't charge a fortune as a main dealer quoted.I would defiantly go back and recommend them . 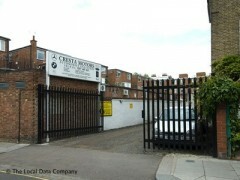 I would not hesitate to recommend Cresta - but only to people who seek and recognise Service and Quality. Thoroughly professional capable Engineers for all types of repair, servicing, maintenance or MOT. An exceptional business operated with care, courtesy and straightforward hardwork. I have been a customer of CRESTA MOTORS for over 25 years and i have owned many luxury cars over the years and the guys have always maintained my cars and have resolved many faults that have occured.They are a family business and very trust worthy.I would definetly recommend CRESTA MOTORS. Very expensive for a local garage. And they quoted for work that didn't need to be done. Will not use them again.